Please join us as the NC State Computer Science Senior Design Center students showcase their work during our annual “Posters & Pies” event on Sunday, April 28th in the James B. Hunt Jr. Library on NC State’s Centennial Campus. The Computer Science Department has had five courses redesigned by DELTA though a Critical Path Course Redesign grant. Please join us for the Spring 2019 Computer Science Diploma Ceremony on May 10th in the James T. Valvano Arena inside William Neal Reynolds Coliseum at NC State. This year's keynote speaker is CSC Alumnus Jim Fletcher. Think and Do Entrepreneurship with Computer Science! The Department of Computer Science at NC State invites those with ideas (thinkers) to network with CSC students who can execute those ideas (doers) at the CSC Entrepreneurship Fair on April 12th! From Campus Cruiser to Lithios, this Computer Science graduate’s career as an entrepreneur is off to a fast start. NC State has found itself on the top 50 undergraduate schools to study game design once again due to continued growth of the flourishing program. Undergraduates at NC State can now specialize in security by completing the Undergraduate Track in Security while earning a BS degree in Computer Science. The Entrepreneurship Track is one of two new undergraduate tracks available to NC State Computer Science students starting in the fall of 2019. Please join us on March 26th for the final talk in our Spring 2019 Fidelity Investments “Leadership in Technology” Executive Speaker Series. Steve Grobman, SVP and CTO of McAfee, will be the featured speaker. Student groups from NC State are collaborating with TechGirlz on an event that encourages young girls to pursue their passion for computer science while at the same time setting a new world record for number of girls coding at the same time. The NC State CSC graduate is helping improve the customer experience at Chick-fil-A. Please join us on February 28th for the second talk in our Spring 2019 Fidelity Investments “Leadership in Technology” Executive Speaker Series. Devin Shackle, Director of Data Science at Advance Auto Parts, will be the featured speaker. The SAB is the cornerstone of the computer science department’s strategic planning efforts. The scholarship, which was seeded by a lead pledge from CSC alum, Dr. Andy Smith (BS '95, MS '97, PhD '04), honors Dr. Robert Funderlic, Professor Emeritus and former CSC department head from 1986 to 1992. Please join us on January 31st for our first talk in the Spring 2019 Fidelity Investments “Leadership in Technology” Executive Speaker Series. Lance Berberian, CIO and SVP at LabCorp, will be the featured speaker. Congratulations CSC Class of 2018! Over 200 BS, MS, and PhD candidates celebrated their graduation during the Computer Science Department’s Fall Diploma Ceremony held December 19th. Congratulations to Dr. Frank Mueller, professor of computer science, for being named the Computer Science Department’s first ACM Fellow for his “transformative contributions” to computer science. Three NC State computer science graduates integrate their passion for education and computer science backgrounds to create an inclusive environment suitable for learning in today’s technologically advanced world. Join us on December 19th as we celebrate our Fall 2018 graduates! The ceremony will be in Reynolds Coliseum at 7 p.m., and CSC alumnus William Pagán will deliver the keynote address. Please join us as the NC State Computer Science Senior Design Center students showcase their work during our annual “Posters & Pies” event on Friday, December 7th in the James B. Hunt Jr. Library on NC State’s Centennial Campus. CSC alumna, Suzanne Gordon, was among four honored recently with a Distinguished Engineering Alumnus award by the NC State College of Engineering. Gordon becomes the department's 4th all-time DEA winner! Ten exemplary alumni were inducted into the NC State Computer Science Alumni Hall of Fame for 2018 during a special event at the Park Alumni Center on November 2nd. Four outstanding young alumni were also recognized. Please join us on November 15th for our final talk in the Fall 2018 Fidelity Investments “Leadership in Technology” Executive Speaker Series. Jamie Thomas, General Manager, Systems Strategy and Development at IBM, will be the featured speaker. CSC Student Ambassadors ignite an interest in coding at the annual Marbles Kids Code event! Please join us on October 23rd for our second talk in the Fall 2018 Fidelity Investments “Leadership in Technology” Executive Speaker Series. Larry Weber, Head of Product Marketing, AWS Relational Databases at Amazon, will be the featured speaker. The Computer Science Department is pleased to welcome 14 new undergraduates to our talented group of Computer Science Student Ambassadors. Please join us on September 27th at 6:30 p.m. as we kick off the Fall 2018 Fidelity Investments “Leadership in Technology” Executive Speaker Series. Erik Troan, co-founder and CTO at Pendo, will be the featured speaker. (Please note new start time! Dr. Gregg Rothermel will become the department's 6th department head when he officially joins us on November 1st, 2018. He is widely considered one of the top software engineering researchers in the world. Join us for this annual back-to-school tradition (with free food!) on August 29th from 5-7:30 p.m. (rain or shine!). The event is open to all engineering students, faculty and staff, and will be held outside on the oval at EB2 on Centennial Campus. Universities and other institutions were ranked by how active they have been in publishing at conferences and journals dedicated to games and interactive entertainment research within the field of computing (AI, HCI, graphics, etc.). Congratulations to Dr. Laurie Williams, Interim Computer Science Department Head, on being named a Distinguished Professor of Computer Science at NC State. Congratulations to Ken Tate, Director of Engagement & External Relations, on receiving the Computer Science Department’s inaugural 'Person of Exceptional Performance' Award. Nearly 300 BS, MS, and PhD candidates celebrated their graduation during the Computer Science Department’s Spring Diploma Ceremony held May 10th at NC State’s William Neal Reynolds Coliseum. NC State will be the first university in N.A. to establish an IBM Quantum Computing Hub as part of the global IBM Q Network, a collaboration of top Fortune 500 companies, universities and research labs working with IBM to advance quantum computing. Congratulations to Dr. Min Chi, assistant professor of computer science, for receiving one of two Alcoa Foundation Engineering Research Awards. Dr. Jason King received the Gertrude Cox Award for his impact on student learning, motivation and creativity, and the impact of his teaching innovation on campus and beyond. Tammy Coates received the Most Supportive Staff Award for her support of WMEP students in a way that makes them feel welcomed, valued and appreciated. Join us on May 10th as we celebrate our Spring 2018 graduates! The ceremony will be in Reynolds Coliseum, and Kimberly Calhoun, COO of Money Masters TV and Network, will deliver the keynote address. Dr. Sarah Heckman becomes the Computer Science Department’s third recipient of the Alumni Distinguished Undergraduate Professor Award since it began in 1967. (Previous winners include Carol Miller in 1997-1998 and Alan Tharp in 1984-1985). The Computer Science department proudly announces the winners of endowed scholarships for the 2017-18 school year. Because of the generosity of alumni and corporate partners, CSC students received almost $45,000 in funding this year. Congratulations to Dr. Xipeng Shen, associate professor of computer science, for being named one of 20 University Faculty Scholars for 2017-2018. Please join us on April 5th for our final lecture in the Spring 2018 Fidelity Investments “Leadership in Technology” Executive Speaker Series. Thomas Triumph, executive advisor and business and technology partner, will be the featured speaker. Please join us on February 27th for our second lecture in the Spring 2018 Fidelity Investments “Leadership in Technology” Executive Speaker Series. Stacy Joines, IBM Fellow and CTO, Watson Implementations at IBM, will be the featured speaker. More than 200 BS, MS, and PhD candidates celebrated their graduation during the Computer Science Department’s Fall Diploma Ceremony held Friday, December 15 at NC State’s William Neal Reynolds Coliseum. Please join us on January 30th as we kick off the Spring 2018 Fidelity Investments “Leadership in Technology” Executive Speaker Series. Opal Perry, VP and Divisional CIO for Claims Technology Services at Allstate, will be the featured speaker. Join us as we celebrate our Fall 2017 graduates! The ceremony will be on December 15th in Reynolds Coliseum. This fall’s keynote speaker is Michael Scott Lipps. CSC Student Ambassadors ignite an interest in coding at the annual Marbles Code event! Please join us as the NC State Computer Science Senior Design Center students showcase their work during our annual “Posters & Pies” event on Friday, December 1st in the James B. Hunt Jr. Library on NC State’s Centennial Campus. It’s only a year old, but already the Visual Narrative faculty cluster has come together as a team to find new ways of telling stories – and to offer their resources to community members. 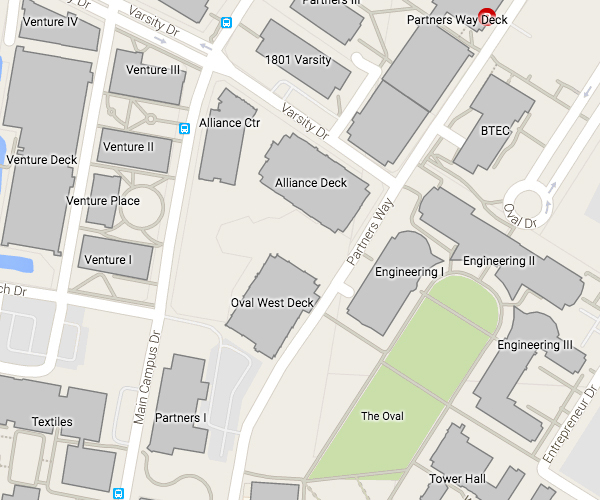 Its members hail from four departments spread across campus. Please join us on November 20th as we wrap up the Fall 2017 Fidelity Investments “Leadership in Technology” Speaker Series. Dr. Maria Klawe, president of Harvey Mudd College, will be the featured speaker. The public is invited to join us on October 24th for the second talk in the Fall 2017 Fidelity Investments “Leadership in Technology” Executive Speaker Series. Mike Walsh, CEO of LexisNexis Legal & Professional, will be the featured speaker. The Computer Science Department is pleased to welcome seventeen new undergraduates to our talented group of Computer Science Student Ambassadors. Make plans to attend the Computer Science ePartners Career Connection on Monday, Sept. 18 in Talley Student Union. There will be over 30 companies on hand recruiting students for co-op, internships, part-time and full-time opportunities. Several Critical Path Courses are getting a makeover thanks to DELTA Grants. Please join us on September 26th as we kick off the Fall 2017 Fidelity Investments “Leadership in Technology” Executive Speaker Series. John Pence, President and CEO of Sunrise Technologies, will be the featured speaker. Alumni, students, faculty, staff and partners are invited to join in the celebration this fall, as a number of 50th Year events and activities are planned. The Fall Fidelity Investments "Leadership in Technology" Lecture Series is back with three great speakers this fall! O’Conner’s hard work and determination lands the highly coveted women in technology scholarship and internship. Join us for this annual back-to-school tradition (with free food!) on August 24th from 5-8 p.m. (rain or shine!). The event is open to all engineering students, faculty and staff, and will be held outside on the oval at EB2 on Centennial Campus. NC State Computer Science makes collaboration between disciplines easier than ever with a new home for the multi-disciplinary games cluster. The Department of Computer Science at NC State has been proudly recognized in the top 50 of the 2017 Game Design School Rankings according to the Animation Career Review. Congratulations Class of 2017! Over 250 computer science graduates were recognized during the Spring 2017 Diploma Ceremony on May 11th in the newly renovated Reynolds Coliseum. Please join us for the Spring 2017 Computer Science Diploma Ceremony on May 11th in the newly renovated Reynolds Coliseum at NC State. This year's keynote speaker is computer science alumna, Dr. Elizabeth Mynatt. This NSF award will allow a diverse group of undergraduates to immerse themselves into a meaningful REU (Research Experience for Undergraduates). They will build and analyze cutting-edge human-centric apps including games, tutors and mobile apps. Please join us as the NC State Computer Science Senior Design Center students showcase their work during our annual “Posters & Pies” event on Wednesday, May 3rd in the James B. Hunt Jr. Library on NC State’s Centennial Campus. Celebrate the End of the Year with Us! You’re invited! All CSC students, faculty, staff, friends and family are encouraged to attend the annual ACM/AITP Year-end Pig Pickin’ on Friday, April 28th from 2-4 p.m. at the Monteith Research Center (MRC) on Centennial Campus. NC State’s Game Design Program is one of the top 50 undergraduate programs to study video game design for 2017 in the US and Canada according to The Princeton Review. Congratulations to Samuel Fedeler and Richard Marshburn, undergraduates in the NC State Computer Science Department, on being recognized as Honorable Mention recipients of very prestigious Goldwater Scholarships. Please join us on March 28th for the final talk in the Spring 2017 Fidelity Investments “Leadership in Technology” Executive Speaker Series. Dr. Peter Wurman, VP of Engineering at Cogitai, will be the featured speaker. Apply by March 24th to become a Peer Mentor in the NC State Computer Science Department. Both undergraduate and graduate students may serve as mentors. Snap! Day provides a fun learning experience for first time programmers of all ages and skill sets. Two staff members from the NC State Computer Science Department have been recognized for their “special or unique contributions” to the department. Ann Hunt and Zelda Tuazama are the department’s most recent “Pride of the Wolfpack” Award winners. Please join us on February 28th for the second talk in our Spring 2017 Fidelity Investments “Leadership in Technology” Executive Speaker Series. Susan Whittemore, VP Technology Risk Management at Fidelity Investments, will be the featured speaker. NC State Computer Science Alum Brian Onorio combines computer science and marketing for a truly innovative and progressive agency in a field of its own. As part of its 50th Year Celebration in 2017, the NC State University Department of Computer Science plans to establish a CSC Alumni Hall of Fame, with the inaugural class of honorees to be recognized in a special event next fall! Congratulations Class of 2016! Over 200 computer science graduates were recognized during the Fall 2016 Diploma Ceremony on December 15th in the newly renovated Reynolds Coliseum. Vouk will continue to serve NC State as Associate Vice Chancellor for Research Development and Administration, Director of the NC State Data Initiative, and as a computer science faculty member. Dr. Laurie Williams will serve as Interim Department Head. The NC State Computer Science Corporate and Career Services program offers students a safe place to gain confidence and develop strong skills for their job search. New and exciting PRIME technology creates a personalized learning space for STEM undergraduate stu-dents of three major institutions including NC State. An appreciation and understanding of computer science is fostered through intelligent tutoring system. Please join us as the NC State Computer Science Senior Design Center students showcase their work during our annual “Posters & Pies” event on Wednesday, December 7th in the James B. Hunt Jr. Library on NC State’s Centennial Campus. Please join us for the Fall 2016 Computer Science Diploma Ceremony on Dec. 15th in the newly renovated Reynolds Coliseum at NC State. This year's speaker is Dereck Whittenburg, a member of NC State’s 1983 national championship men’s basketball team. CSC116 and CSC216, two Critical Path classes in computer science, are getting continued makeovers thanks to DELTA Grants for Course Redesign. Times Higher Education magazine’s “World University Rankings” for 2016-2017 ranks NC State’s computer science program 21st in the US and 84th in the world! Melissa Novitsky, president of Women in Computer Science (WiCS), a Computer Science Student Ambassador, an NCWIT Aspirations in Computing Award Winner, and a STEM Scholar at NC State helped kick off the 2016 Congressional App Challenge. Computer Science for All is President Obama’s bold new initiative to empower a generation of American students with the computer science skills they need to thrive in a digital economy. CSC316, a Critical Path data structures class in computer science, is getting a makeover thanks to a DELTA Grant for Critical Path Course Redesign. The Computer Science Department is pleased to welcome twelve new undergraduates to our talented group of Computer Science Student Ambassadors. Over 200 students gathered at the Sit With Me event to celebrate women in information technology. The event helped illustrate career possibilities for women in IT and technical careers, and celebrated diversity and inclusion in the workplace. Make plans to attend the Computer Science ePartners Career Connection on Monday, September 19. There will be 37 companies on hand recruiting students for co-op, internships, part-time and full-time opportunities. As the growth of the video game industry continues to soar, NC State ranks among the top schools in the nation offering undergraduate programs in video game design. Join us for this annual back-to-school tradition (with free food!) on August 25th from 5-8 p.m. (rain or shine!). The event is open to all engineering students, faculty and staff, and will be held outside on the oval at EB2 on Centennial Campus. Another Top 10 ranking for NC State's Online Master's Degree in Computer Science! College Choice also recognized the undergraduate program as one of the top 50 Best Schools for a Computer Science Degree. The NC State Computer Science Department is pleased to welcome five new faculty members to the department this fall. The concepts of Pokemon GO, the mobile-based augmented reality game that uses your phone’s GPS and clock to mix real-world elements with the game, have been incorporated in a summer course in computer science at NC State. Alumnus Scott Vu earned four degrees from NC State including one in computer science – he also learned how to dance. Congratulations to Dana Christo on winning a Women Enhancing Technology (WeTech) Scholarship and Internship for University Women in Science, Technology, Engineering and Math (STEM). The scholarship is valued at $10,000. Dr. Xipeng Shen joins and elite group in the Institute of Electrical and Electronics Engineers (IEEE), as only 9% of the organization’s members have achieved Senior Member status. Six members of the Computer Science Department’s faculty are recipients of the inaugural Faculty-2-Faculty Recognition. Learn more about upcoming undergraduate research opportunities for the fall semester at the Undergraduate Lightning Talks on August 19th at 1 p.m. in 3211 (EB2). Congratulations Class of 2016! Almost 260 computer science graduates were recognized during the two Spring 2016 Diploma Ceremonies on May 6th. The Computer Science Department will have two diploma ceremonies this year – one for graduate students (10:00 a.m.) and one for undergraduates (2:00 p.m.). The ceremonies will take place on Friday, May 6th at Providence Baptist Church in Raleigh. Do you like to play video games? Then join us in Engineering Building 2 on NC State's Centennial Campus to learn about the video game development process, and see (and play!) examples of the game that students created this year at NC State. It’s free and open to the public! NOTE NEW DATE!!! You’re invited! All CSC students, faculty, staff, friends and family are encouraged to attend the annual ACM/AITP Year-end Pig Pickin’ on Monday, April 25th from 4-6 p.m. at the Monteith Research Center (MRC) on Centennial Campus. Please join us as the NC State Computer Science Senior Design Center students showcase their work during our annual “Posters & Pies” event on Tuesday, April 26th in the James B. Hunt Jr. Library on NC State’s Centennial Campus. Dr. Tiffany Barnes is one of four recipients nationwide of the NCWIT Undergraduate Research Mentoring Award. The Video Game Design Program at NC State ranked 9th on the list of public universities, and 33rd overall. Computer science researchers at NC State are using support from the National Science Foundation to help recruit and educate skilled data scientists, particularly in software engineering. CSC alumnus Michael DeHaan, founder of Ansible, is the featured speaker for the final Spring 2016 Fidelity Investments “Leadership in Technology" Speakers Series talk. The event is free and open to the public. Join us in congratulating Dr. Christopher Healey, professor of computer science, on being appointed to the Goodnight Distinguished Professorship in Advanced Analytics. Pete Forsyth, Principal at Wiki Strategies, will kick off the Spring 2016 Fidelity Investments “Leadership in Technology” Executive Speaker Series. Join us on January 26th at 6 p.m. in room 1231 in EB2. Talks are free and open to the public. Congratulations to the CSC Fall 2015 Graduates! More than 220 Computer Science graduates were recognized during the Fall 2015 Diploma Ceremony on December 17th. Well-known Wolfpack basketball player and coach Dereck Whittenburg and his wife, Jacqueline, have started a foundation to support students in finishing their degrees. Inspired by profs Donald Bitzer & Mladen Vouk, alumnus Scott Vu created RiboScan®, a web-based tool based on the model he started developing as an undergraduate. Congratulations to the four NC State teams on a very strong showing at the 2015 ACM Mid-Atlantic Regional Programming Contest. NC State’s top performer, the Arrays, finished 5th out of 185 teams. Please join us for the Fall 2015 Department of Computer Science Diploma Ceremony on Thursday, December 17th at 1 p.m. at Providence Baptist Church. This year's keynote speaker is Bob Geolas. Please join us as the NC State Computer Science Senior Design Center students showcase their work during our annual “Posters & Pies” event on Friday, December 4th in the James B. Hunt Jr. Library on NC State’s Centennial Campus. CSC116 and CSC216, two Critical Path classes in computer science, are getting makeovers thanks to DELTA Grants for Course Redesign. Congratulations to Dr. Laurie Williams, Professor of Computer Science at NC State, on being named Associate Department Head of the NC State Computer Science Department. Dr. Mladen Vouk, Computer Science Department Head, has been named Distinguished Professor in Computer Science at NC State University. We are kicking off our fourth year of the Computer Science Department’s Student Ambassador Program with seventeen new talented undergraduates. This annual recruiting and networking fair is provided exclusively for the benefit of computer science students and the department’s most valued corporate partners! Computer science alumna Lauren Schaefer has traveled the world while working remotely for IBM. She has become a go-to person for expertise on how to make the experience as productive as possible. Tim McKnight, Chief Information Security Officer at General Electric, kicks off the Fall 2015 Fidelity Investments “Leadership in Technology” Executive Speaker Series. Join us Sept. 15 at 6 pm in Room 1231 in EB2. Talks are free and open to the public. Join us for this annual back-to-school tradition (with free food!) on August 27th from 5-8 p.m. (rain or shine!). The event is open to all engineering students, faculty and staff, and will be held outside on the oval at EB2 on Centennial Campus. Dr. Kristy Boyer and others in the NC State Computer Science Department are collaborating with researchers at Duke and UNC-Chapel Hill as part of the Research Triangle Peer Teaching Fellows, a project supported by a Google Computer Science Capacity Award. Kathleen (Katie) Wassell, a recent graduate of the Computer Science and English Departments, is the recipient of the College of Engineering’s Outstanding Senior Award for Humanities. Congratulations Class of 2015! More than 240 computer science graduates were recognized during the Spring 2015 Diploma Ceremony on May 8th. Congratulations to Alexandria Vail, an NC State student double majoring in computer science and mathematics, and double minoring in physics and cognitive science, on receiving a 2015 NSF Graduate Research Fellowship valued at more than $138,000. After serving as interim director of the SDC for three years following the retirement of Dr. Robert Fornaro, Ms. Margaret Heil has been named Director of the NC State Computer Science Department Senior Design Center. Do you like to play video games? Then join us in EB2 on Centennial Campus to learn about the video game development process, and see (and play!) examples of the game that students created this year at NC State. It’s free and open to the public! Congratulations to Drs. Munindar Singh and R. Michael Young on being recognized as Alumni Association Outstanding Researchers, and to Dr. Sarah Heckman for being recognized as an Alumni Association Outstanding Teacher. We are pleased to announce the Spring 2015 Department of Computer Science Diploma Ceremony will be held on Friday, May 8th at 1 p.m. at Hope Community Church. This year's keynote speaker is IBM Security Architect, Jeff Crume. You’re invited! All CSC students, faculty, staff, friends and family are encouraged to attend the annual ACM/AITP Year-end Pig Pickin’ on Friday, April 24th from 1-3 p.m. at the Monteith Research Center (MRC) on Centennial Campus. Researchers in NC State's Center for Educational Informatics, led by Dr. James Lester, are rolling out a science video game and educational curriculum, making them freely available to educators. Enrollment in CSC classes is climbing, while the number who go on to complete undergraduate degrees in this field doesn’t match the increase. Dr. Sarah Heckman is using a Google CS Engagement Award to help make a difference at NC State. Please join us as the NC State Computer Science Senior Design Center students showcase their work during our annual “Posters & Pies” event on Monday, April 27th in the James B. Hunt Jr. Library on NC State’s Centennial Campus. Congratulations to Dr. Sarah Heckman, teaching assistant professor in the NC State Computer Science Department, on receiving a College of Engineering Outstanding Teacher Award. Congratulations Class of 2014! Over 200 computer science graduates were recognized during the Fall 2014 Diploma Ceremony on December 17th, one of the largest in department history. Congratulations to Dr. R. Michael Young, professor of computer science in the NC State Computer Science Department, on being named a 2014-2015 University Faculty Scholar. Dr. Laurie Williams, professor of computer science at NC State and one of the foremost researchers in agile software development and in the security of healthcare IT applications, has been named Acting Department Head of the Computer Science Department. Please join us for the Fall 2014 Department of Computer Science Diploma Ceremony on Wednesday, December 17th at 1 p.m. at Providence Baptist Church. This year's keynote speaker is retired Cisco executive and tech icon, Wayne Clark. Please join us as the NC State Computer Science Senior Design Center students showcase their work during our annual “Posters & Pies” event on Friday, December 5th in the James B. Hunt Jr. Library on NC State’s Centennial Campus. That is the goal as NC State joins the University of Maryland, Baltimore County, the University of Utah, and the University of California, San Diego, as the third site of the Center of Hybrid Multicore Productivity Research (CHMPR). Please join us on November 13 for the final talk in our Fall 2014 Fidelity Investments “Leadership in Technology” Speakers Series. Dr. Jim Goodnight, co-founder and CEO of SAS, is the featured speaker. All talks are free and open to the public. The massive open online course (MOOC) will be taught by security experts, Drs. Laurie Williams & Emerson Murphy-Hill, and will include video lectures, resources, and exercises that will encompass most of NCSU's semester course in Software Security. Researchers at NC State are working to improve educational software by enabling it to assess body language, speech and other cues to better respond to a student’s emotional state during the learning process. Please join us on Oct. 28 for the next talk in our Fall 2014 Fidelity Investments “Leadership in Technology Speakers Series”. Alan Dabbiere, Co-founder and Chairman of AirWatch, will be our featured speaker. All talks are free and open to the public. This select group of undergraduates plays a key role in supporting the department's outreach efforts, working 39 different events totaling over 400 service hours last year. For two weeks this summer, a team of 16 undergraduate students from the Universidad Católica Andres Bello (UCAB) in Caracas, Venezuela studied and worked with NC State computer science students, faculty and staff during a summer practicum. An anonymous donor has established a planned gift of $300,000 to celebrate the lives of these Gastonia, North Carolina natives! The 2014 Welcome Back Bash is planned for Thursday, August 28th, from 5:00–7:30 p.m. The event is open to all engineering students, faculty and staff, and will be held outside on the Masnari Gateway and the brick oval at EB2 on Centennial Campus. Russ Koste, SVP, Cyber Intelligence & Operations with Fidelity Investments, will kick off the Fall 2014 Fidelity Investments “Leadership in Technology” Executive Speaker Series. Join us on September 16th at 6 p.m. in room 1231 in EB2. Congratulations to Melissa Novitsky, a recent graduate of Athens Drive High School and an incoming NC State freshman, who is the recipient of the 2014 NC State Computer Science Aspirations Scholarship Award. Alexandria Vail is one of only 16 college-aged students chosen to receive a 2014 Generation Google Scholarship valued at $10,000. As part of her award, she will also attend the Google Scholars’ Retreat in CA this summer. Please join us in congratulating several members of our faculty on their promotions or reappointments in the NC State Computer Science Department. Ten female grad students were selected to attend the CRA-W Graduate Cohort Workshop on April 13-14 in Santa Clara, CA. The workshop is a program for women designed to build and mentor a national cohort of graduate students. Eric Whitmire a recent graduate of the Computer Science and Biomedical Engineering Departments, is the recipient of the College of Engineering’s Outstanding Senior Award for Scholarly Achievement. Congratulations Class of 2014! Two-hundred computer science graduates received their diplomas during the Spring 2014 Diploma Ceremony on May 9th. Search and Rescue 2.0 – Dogs in high-tech harnesses could provide assistance in disaster relief and recovery by helping locate victims quickly and easily while relaying data about environmental hazards and other information in real time. According to Dr. Emerson Murphy-Hill's research, game developers need more than technical skills to be successful – they need a suite of non-programming skills including communications and interpersonal skills! You’re invited! All CSC students, faculty, staff, friends and family are encouraged to attend the annual ACM/AITP Year-end Pig Pickin’ on Friday, April 25th from 4 – 6 p.m. at the Hunt Library on Centennial Campus. We are pleased to announce the Spring 2014 Department of Computer Science Diploma Ceremony will be held on Friday, May 9th at 2 p.m. at Providence Baptist Church. This year's keynote speaker is computer science alumna Heather Miller. Do you like to play video games? Then join us in BTEC on Centennial Campus to learn about the video game development process, and see (and play!) examples of the game that students created this year at NC State. It’s free and open to the public! Please join us as the NC State Computer Science Senior Design Center students showcase their work during our annual “Posters & Pies” event on Friday, April 25th in the James B. Hunt Jr. Library on NC State’s Centennial Campus. CSC's Institute for Next Generation IT Systems (ITng) is hosting a drone programming challenge culminating on April 12 with a goal of raising awareness of these platforms and increasing participation in drone-related activities. This endowment is established by Dr Carl C. Hughes’ wife of fifty-one years, Dr. Barbara Ann Hughes, as a way to honor the life and legacy of this career educator who passed away on October 16, 2013. For the 4th year in a row, NC State’s Video Game Design Program has been recognized by The Princeton Review as one of the “Top 25 Undergraduate Schools To Study Video Game Design for 2014” in the U.S. and Canada. NC State’s Engineering Online has again been ranked among the best in the nation by “U.S. News and World Report”. The award is the first of its kind for the computer science department at NC State and will provide funds in perpetuity that can be used to support undergraduate research related programs and initiatives. More than 170 students received their diplomas during the Fall 2013 Diploma Ceremony on December 18th at Providence Baptist Church. Greg Germain, vice president of NetApp, delivered the keynote address. Scott Ganeles, CEO of Ipreo, will kick off the Spring 2014 Fidelity Investments “Leadership in Technology” Executive Speaker Series. Join us on January 30th at 6 p.m. in room 1231 in EB2. Talks are free and open to the public. Please join us for the Fall 2013 Department of Computer Science Diploma Ceremony on Wednesday, December 18th at 2 p.m. at Providence Baptist Church. This year's keynote speaker is Greg Germain, Vice President at NetApp. Dr. Laurie Wililams, professor of computer science in the NC State Computer Science Department, has been named one of twenty 2013-2014 University Faculty Scholars. Please join us as the NC State Computer Science Senior Design Center students showcase their work during our annual “Posters & Pies” event on Friday, December 6th in the James B. Hunt Jr. Library on NC State’s Centennial Campus. With a $20,000 gift to the department, Cisco is making a significant investment toward establishing multiple diversity-related scholarships to benefit computer science students. The Association for Computing Machinery Named Dr. R. Michael Young a 2013 Distinguished Scientist, placing him in the top 10% of members of the organization. The Fidelity Investments "Leadership in Technology" Speakers Series welcomes Bob Geolas, President & CEO of Research Triangle Foundation of North Carolina, on November 19th @ 6 pm in 1231 EB2. Event is free and open to the public. Congratulations to Piyali Dey, a graduate student in the NC State Computer Science Department, on receiving a 2013 Anita Borg Facebook Scholarship to attend the Grace Hopper Celebration of Women in Computing Conference in Minneapolis, MN. The Fidelity Investments "Leadership in Technology" Speakers Series welcomes Curtis Brown, CTO of AOL, on October 22nd @ 6 pm in 1231 EB2. Event is free and open to the public. We are kicking off our second year of the Computer Science Department’s Student Ambassador Program with ten new talented undergraduates. The exciting fall line-up includes AOL CTO - Curtis Brown, Research Triangle Foundation President & CEO - Bob Geolas, and nationally acclaimed author and technologist - Michael Lopp! Join us for this annual back-to-school tradition (with free food!) on Thursday, September 5th from 5-7:30 p.m. (rain or shine!). The event is open to all engineering students, faculty and staff. Thushan Amarasiriwardena, creator of Launchpad Toys, has taken his childhood love of building things, taking pictures, making videos and creating stories and turned it into the award-winning Toontastic app! Researchers at NC State are using the ENGAGE project, a game-based learning environment for middle schoolers, to develop a curriculum that teaches students about computer science principles.